Glad you’re here! You’re probably looking for recipes of vegetarian dishes that are explained well enough for you to give them a go at home? I can assure you that you’re exploring the right place! Blend with spices is a food blog where you can find authentic, innovative yet simple vegetarian dishes with step-by-step photos and videos (in most cases, I’m catching up on upgrading my old content!). Let me also briefly introduce myself just in case you’re interested to know about my journey. 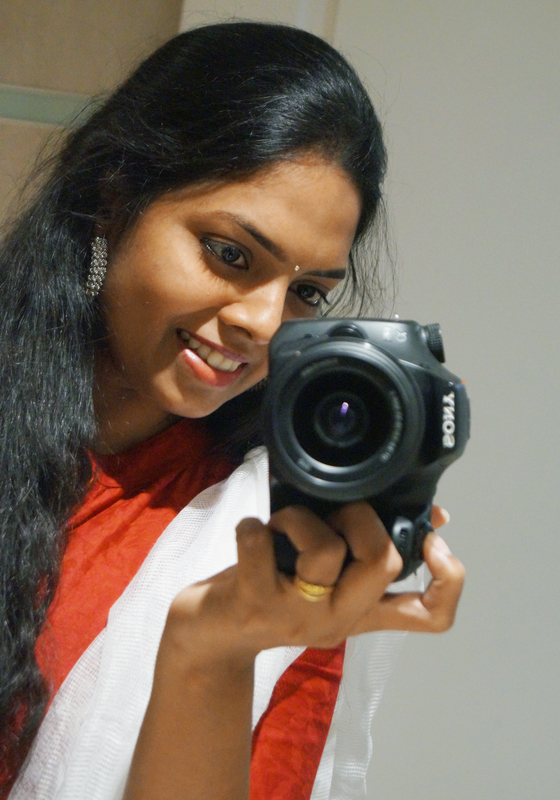 I am Hari Chandana Ponnaluri, an Indian food blogger currently living in the dreamy Switzerland Spain with my husband Surya. He proudly tells everyone that I could even work from the North Pole (I hope to god that will never be the case☺) while he couldn’t, but I’ve to admit here’s kinda right ☺ ! Blogging and photography have been my world for about 10 years now and all I need are – a camera, some ingredients & props, and an internet connection to make your while worth on my website!☺ It all started when I was still in college, wondering what the world had in store for me. Thanks to my parents’ and sister’s constant encouragement (and some words of wisdom :-)), I’ve managed to share 800+ vegetarian recipes with photos with my readers. Their constant messages, comments and, above all, support made me who I am today! Enter Surya, who took over the reins of encouraging me and getting excited even at the sight of me boiling some milk (for obvious reasons☺), I’ve started enriching my content with videos and expanding my social media reach. Ever since, I’ve to say I’ve been happier and more hungry (pun intended!) and as a result, I’ve started expanding my horizons to many other vegetarian cuisines of the world. Our living in Switzerland and travelling widely across Europe definitely helped in this respect. I hope you’ll like what you find here. I can also assure you that I will take your suggestions into consideration (e.g. new recipes that interest you, old recipes that need further explanation, more photos etc. – you get the idea!). I’m quite active on social media where I spend a lot of time with more than 210K of my followers on Facebook, Instagram, Twitter, Pinterest, Google+, YouTube . I’d be happy to interact with you on any of these channels. See you soon and happy thoughts!